Chennai Super Kings won the match by 4 runs. 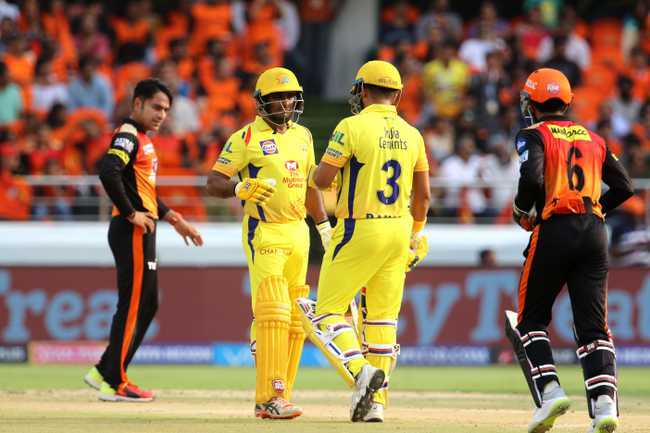 Chennai Super Kings won the match by 4 runs against the Sunrisers Hyderabad at Rajiv Gandhi International Stadium, Hyderabad. 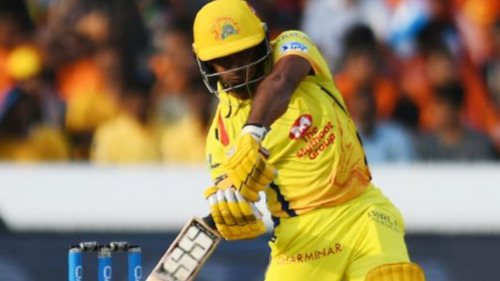 Ambati Rayudu was awarded the Man of the Match for his incredible, brilliant, and superb firing innings that led Chennai to score a massive total on the board. Team Circle of Cricket gets down to list the 5 talking points of the match. Click on the links to get onto the next page. 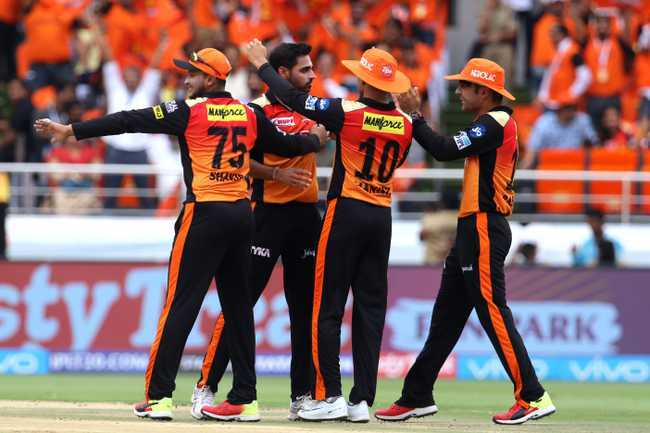 Sunrisers Hyderabad bowlers gave their team a very positive start as they conceded few runs in the first ten overs and two important wickets of the openers. Both the openers going back cheaply was a huge blow for Chennai Super Kings. 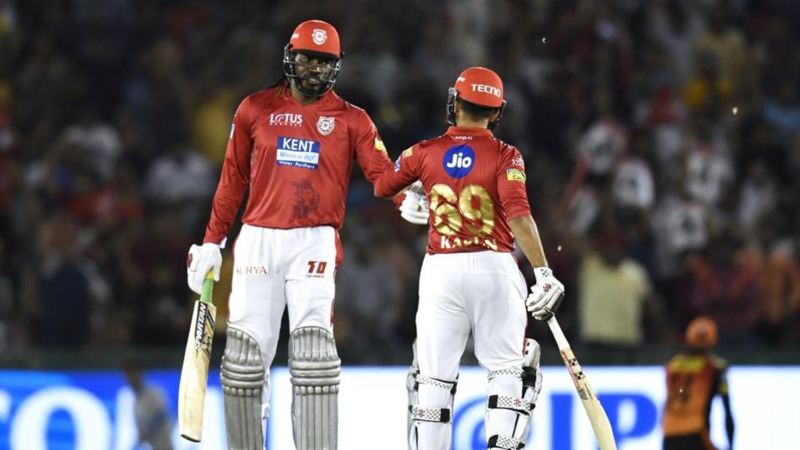 The team also recorded the lowest power-play score of this season with just 27 runs in the first six, they beat Delhi Daredevils who had 28 on the boards in the yesterday's game. Sunrisers bowled the first half very efficiently, hitting on the right spots they had the match in control. After getting demoted at number 4, Ambati Rayudu was supposed to score runs for his team and that is what he did in the match. Rayudu hammered 79 runs off 37 deliveries to let his team reach 180 plus score. Ambati Rayudu played all the cricketing shots with being so harsh on Sunrisers bowlers, he was brilliant to watch. His presence also has been fruitful for Chennai Super Kings and in the future also he will try to make it count. This was also his second highest scores of Indian Premier League. Ambati Rayudu and Suresh Raina together jolted 112 runs for the 3rd wicket partnership. Both of them almost blasted out their bat on the opponent. A total of 128 runs were scored in the last 10 overs of Chennai Super Kings inning thanks to Suresh Raina and Ambati who played aggressive cricket and Mahendra Singh Dhoni also smashing a few in the last overs of the first innings. This was for the first time in 5 years of IPL that Sunrisers played without their main openers David Warner and Shikhar Dhawan who got injured in the last match. They had two different openers with Saha been demoted to the middle order. Deepak Chahar was successful in troubling the top order of SRH with Manish Pandey, Deepak Hooda and Bhui going cheaply. Chahar had a wonderful day at the work as he took 3 wickets for just 15 runs in his 4 overs. Sunrisers was in desperate need of a partnership but from the other end wickets kept on falling. Despite Chennai bowlers taking down Hyderabad's bowler, Kane Williamson sticks to his crease with scoring runs and boundaries he did whatever he could manage to do. Kane made 84 runs in a losing cause that showed how much capacity he has in him. His partnership with Yusuf Pathan was very crucial and important. 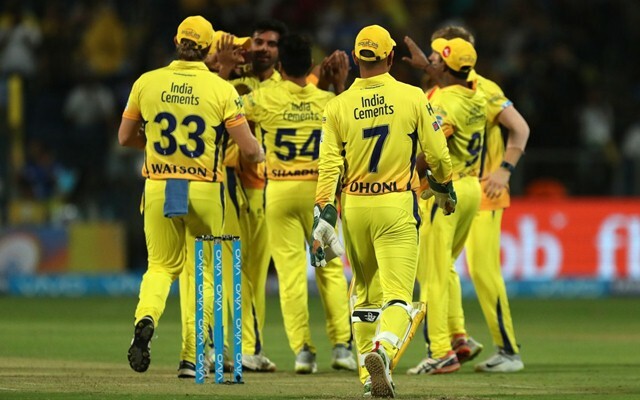 At one time it was looking that they could take it away from Chennai and win it in front of their home fans but the asking rate was too high that in a hurry they lost their wickets. 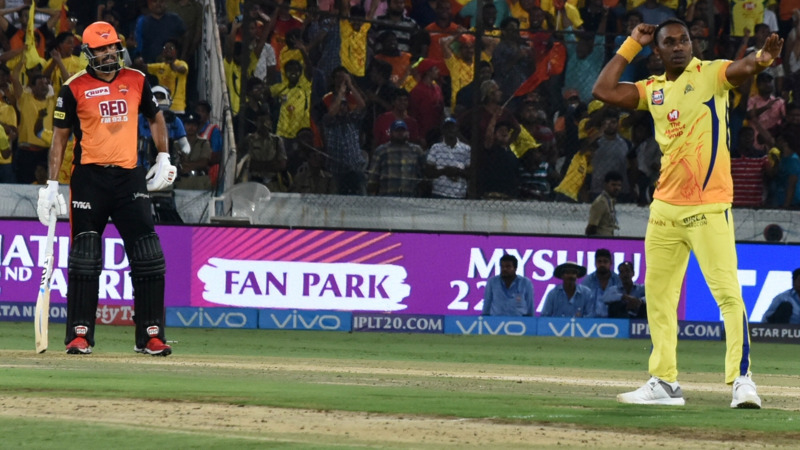 Chennai Super Kings won the match in the last over encounter where 19 runs were needed in the last over and Rashid's Khan two sixes made it look more exciting. In the end, it was Chennai who had the last laugh winning the game by 4 runs. Ambati Rayudu and Deepak Chahar were brilliant upfront. Hyderabad who lost their second consecutive match would want their players to get fit and represent the team again.